It is just one year on since I started to put into place my revised strategy in relation to my individual shares portfolio. Having come to the conclusion that my individual shares have been the weakest link of my income strategy to-date, I have been in the process of gradually winding down the shares portfolio and redirecting investment proceeds towards my investment trusts, ETFs and also to incorporate more low cost globally diversified index funds such as Vanguard LifeStrategy. By the end of 2015, my portfolio had been reduced from 24 to just 9 holdings. The remaining shares consisted of BHP Billiton, Next, Unilever, Tesco, Sky, IMI, Amec Foster, Legal & General and Berkeley Group. The portfolio was set up in January 2013 and has gained a total of £5,025 - a return of 14.0% to date which equates to an annualised average of ~4.1% p.a. The FTSE 100 stood at 5,900 at the start and is currently around 6,350 - a return of 7.6% plus dividends of around 3.8% per year. Running an individual shares portfolio can be interesting but, as we have seen recently with Next which lost 25% of its value within a week earlier this year, individual shares can be very volatile and I have not noticed any greater return from my portfolio for the additional risk compared to my collectives - managed and passives. Today I decided to sell my holding in Unilever which has had a good run - up around 13% year to date - and passed my target price of £32.50 - 63 shares @ £32.90 to give nett proceeds of £2,063. 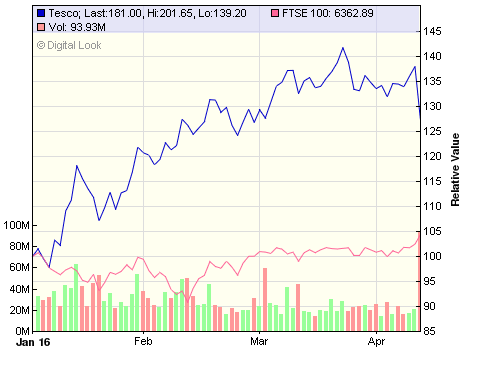 I still hold quite a significant holding in Unilever via most of my investment trusts and Vanguard funds. The proceeds have been recycled into my Vanguard LS 60 fund. These are accumulation units and therefore no income is distributed. My plan is to sell off some of the units each year to provide ‘income’. It may take some time before all the shares are sold however I will now draw the shares portfolio to a close as there are just 8 remaining holdings. I will therefore amalgamate this portfolio with my collectives income portfolio. There is already some overlap with the Vanguard Equity Income funds and LifeStrategy funds. I’m now more globally diversified - not perfect but for now - good enough. I am edging away from the rollercoaster of individual shares and entering the relative calm waters of the 60/40 Lifestrategy option. Returns on cash savings continue at record lows - the average interest currently on offer from cash ISAs has fallen from 1.5% to just 1.0%. 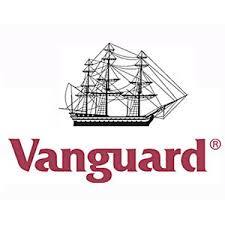 The average annualised return from my Vanguard LS 60 fund since inception is currently 7.6% (VLS40 is 7.1%). Over the coming few years I will be reducing my exposure to equities, therefore I am thinking of a steady 5% or 6% return on average (after inflation) with very little effort - that will do for me, slow and steady….. I will update the combined income portfolio for end June. Take it easy..
Last year, the company reported a record pre-tax loss of £6.4bn for the year, marking the biggest loss reported to-date by a British retailer. Tesco has today issued its results for the full year to end February 2016 (link via Investegate). The group reported net profits of just £162m from sales of £48bn - this works out at less than 0.5p for every £1.00 of goods sold. "We have made significant progress against the priorities we set out in October 2014. We have regained competitiveness in the UK with significantly better service, a simpler range, record levels of availability and lower and more stable prices. Our balance sheet is stronger and we are making good progress in rebuilding trust in Tesco and our investment case. Our process of transformation has generated broad-based positive momentum in the UK and internationally. We set out to start rebuilding profitability whilst reinvesting in the customer offer, and we have done this. 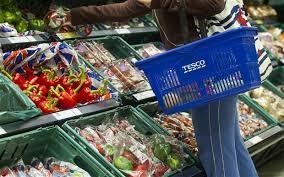 More customers are buying more things more often at Tesco". One of the main focus of the turnaround is to strengthen the balance sheet. According to media reports, Tesco is planning to sell off some of its non-core businesses, including Dobbies Garden Centres chain, coffee shop chain Harris & Hoole and restaurant chain Giraffe, so that it can focus on the main supermarket business. Capital expenditure has be reduced to just £1bn over the past year (2014/15 £1.8bn) whilst net debt reduced some 40% from £8.5bn to £5.1bn. Capital expenditure in 2016/17 will be around £1.25bn including an increased spend to refresh UK stores and an accelerated store opening programme in Thailand. There has been no dividend paid over the past 12m and no mention in the report to indicate when it may resume. Whilst the FTSE 100 may be getting back to above the level at the start of 2016, so far this year, Tesco is one of the highest risers in my portfolio gaining around 28% since the last trading update in January. There now appears to be some light at the end of the tunnel. The results today however have not been particularly well received by Mr Market and at the close the share price is down ~5% at 187p. I am hoping, in the absence of dividends, the share price progress can be maintained and move beyond the 200p barrier before long. Vanguard has this week launched its target retirement funds (TRF) in the UK, with the popular fund of funds products already available in the US market. Vanguard is one of the largest providers of TRFs in the US and manages $358 billion in US-based target-date assets as at the end of December 2015. Vanguard’s target retirement fund range includes nine funds made up of a mixture of equity and bond index funds and also exchange traded funds. 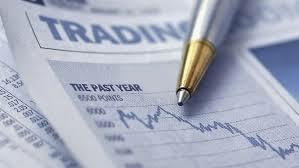 The funds are very similar to their blended LifeStrategy range and will hold many of the same underlying index funds. The LS range however does not currently hold ETFs. Ongoing charges are the same - 0.24%. With the LifeStrategy funds, the investor selects the option which most closely matches the exposure to equities required and Vanguard will automatically rebalance the fund to ensure it remains at the required level. With the TRFs, investors pick the fund that best aligns with their expected retirement date, which automatically adjusts its portfolio mix based on the investor’s age, as retirement draws closer the fund will gradually reduce the percentage of equities towards an increasingly conservative position. For example, the 2020 fund will hold 60% equities and 40% bonds - both are globally diverse. The 2040 fund holds 80% equities and just 20% in bonds. With 25 years to retirement, I think its probably OK to have a significant allocation to equities. However, with just 4 years to retirement, some people may feel a little uncomfortable with as much as 60% in equities and such a weighting is possibly not what I would regard as 'conservative'. The funds can be included in a Sipp, ISA and the new Lifetime ISA from 2017. Vanguard research showed that many investors did not have the time or interest to dedicate to retirement planning. 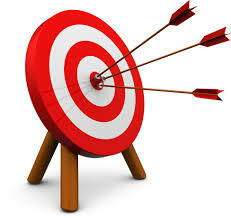 Vanguard says the target retirement funds addresses many behavioural finance pitfalls such as trading too frequently, chasing returns and trying to time the market, instead focusing on asset allocation, diversification, transparency and balance between risk, return and cost. My first impressions are that these funds offer a simple, low cost solution to retirement planning. I am not clear whether they are available to retail clients via the usual SIPP platforms but I hope they will be as I am sure many would welcome such an option. What do others think - leave a comment below. I hold this UK income trust in my ISA portfolio. They have recently issued results for the full year to 31st January 2016( link via Investegate). The figures for the year do not make for good reading - NAV per share on a total return basis has fallen by -11.5% (2015 +11.1%) - underperforming against its benchmark the FTSE all-share index by 6.9% over the year. The trust has however outperformed its benchmark in 5 of the past 6 years. Underlying income per share saw a modest 1.7% increase to 12.1p (11.9p 2015). The Board is recommending a final dividend of 3.675p, which will make for a total of 11.4p for the full year (2015 - 11.25p) - an increase of 1.3%. As with last year, the uplift is a little disappointing and just about keeping pace with inflation. Dividend growth over the past 5 yrs is one of the weakest in the sector at an average of just 1.1% p.a. - maybe the trust needs a new name! I am pleased to see dividend reserves have again increased to £23.9m (2015 £22.6m) and now represents 141% of dividends paid out over the past 12 months. Portfolio turnover is again modest at just 0.05% (these costs for the average fund are over 1%). Ongoing charges for the trust have increased to 0.74% (2015 0.69%) mainly due to the reduction in net assets but still around the average for the UK income sector. At the current share price of 213p, the trust yields a handy 5.3% but share price appreciation has been below par for the past couple of years. Over the past 12 months, the share price has lost its premium and currently trades at a significant discount to net assets. 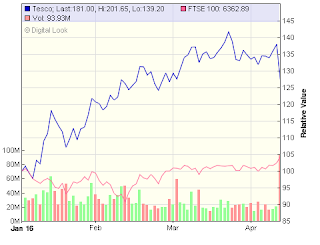 In March it was reported that insurer Aviva has been selling off a number of its investment trust holdings. It is among the top five shareholders on a dozen investment trusts, mostly those focused on UK and global shares, private equity and property. This included the sale of ~£2.5m held in DIG in February which has increased the discount on the share price from ~7% to over 10%. One of my Vanguard index funds I use as a benchmark to evaluate my collective investments is their UK Equity Income Fund which I updated last month. As can be seen from the chart, the Dunedin trust does not compare too well over the past 18 months or so. Last year, I sold the Dunedin holding in my SIPP. I will retain my ISA holding for the time being for the income but without any real enthusiasm. 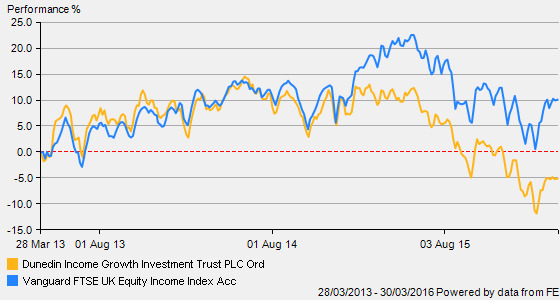 This seems to offer yet another example of lower cost passive index funds outperforming the managed investment trust. My strategy transition towards lower cost index funds and ETFs over the past year or so is looking increasingly a good move.